Join Freshi ice Sticks photography contest and become eligible of winning an iPad Air if your entry convinces the penal of judges. It is very easy for people in Jeddah or Makkah, Just visit any Freshi branch, buy their product (8 to 10 SR) and take a selfie (own photo) with their product. 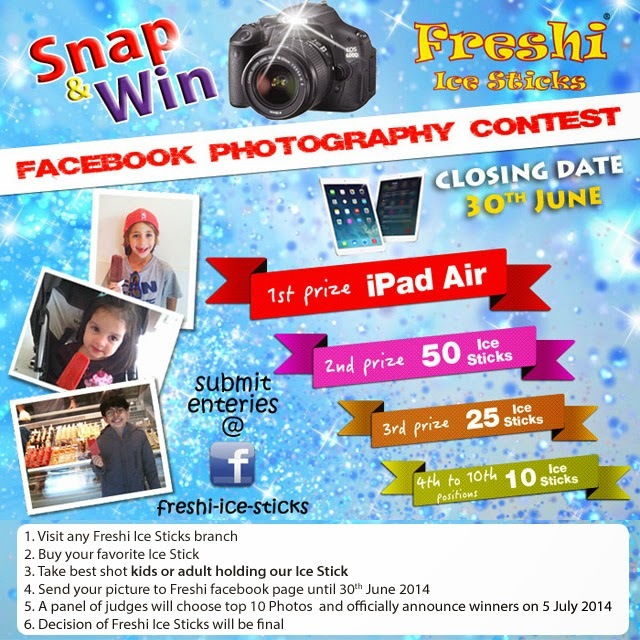 Submit your entry before 30th Juny 2014 to Freshi Ice Sticks fan page at facebook below.